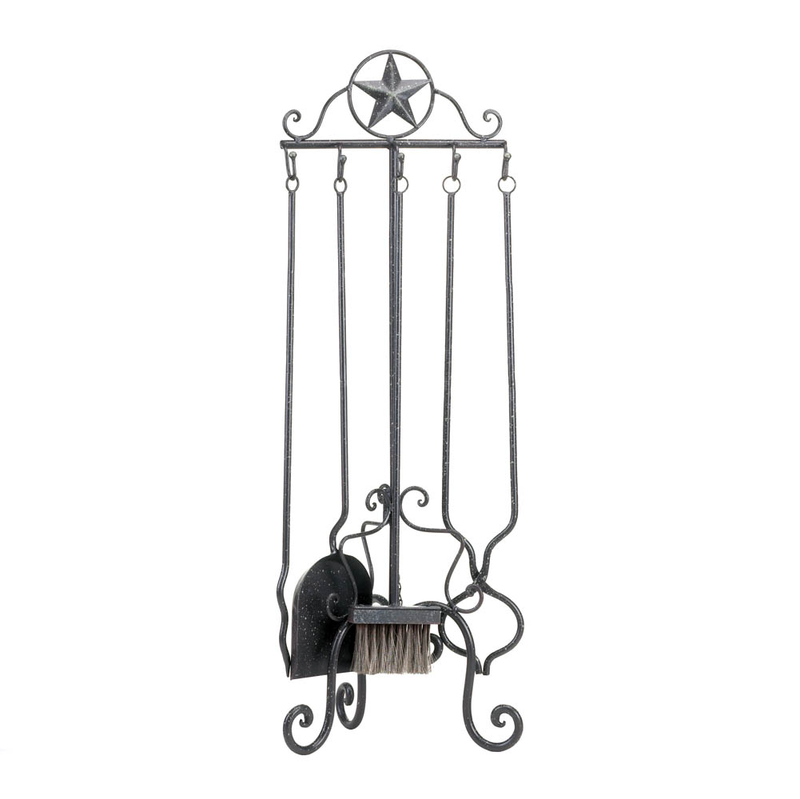 Add some Western flair to your fireplace with this rustic Lone Star Fireplace Tool Set. Four handy tools hang neatly from the stylized frame, ready to help you arrange, stoke and clean up your fireplace. Item weight: 5.4 lbs. 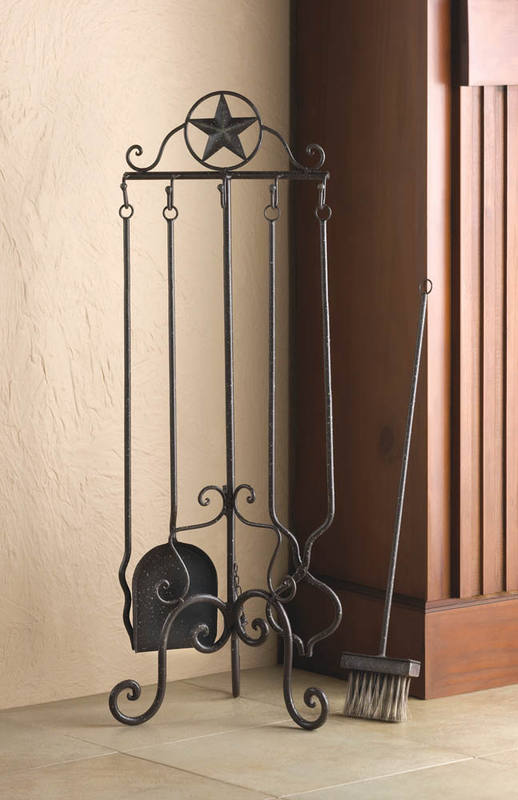 Stand: 10¼" x 10" x 31" high; tools are approximately 22" long. Iron. Set. UPC: 849179018825.